Yes! Fitness Music : Yes!GO Premix Mobile Music with 30 day trial : Discover new music. Teach better classes. Workout Music for Fitness Instructors. 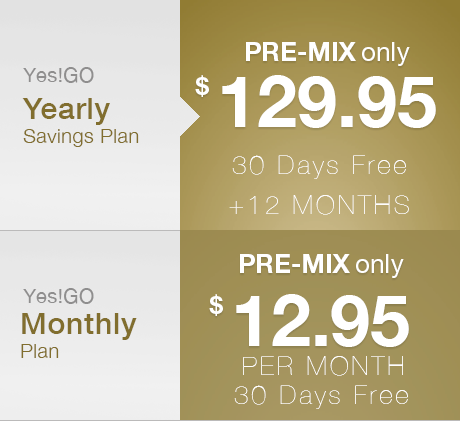 Yearly Saving Plan (30 days FREE then $129.95 for the year) $0.00 /mo. 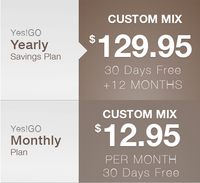 Monthly Plan (30 days FREE then $12.95 per month) $0.00 /mo.